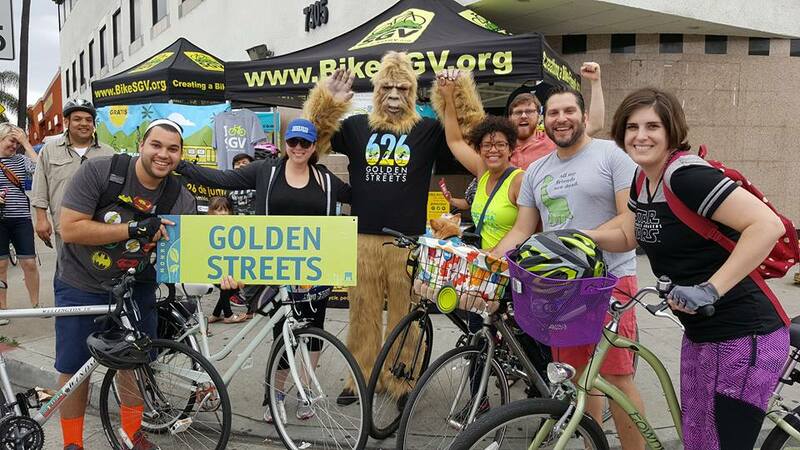 Gabe the Sasquatch is the official spokesperson for #626GoldenStreets. A native of the San Gabriel Mountains, Gabe enjoys walking through the forest, eating locally-grown plants, and challenging persistent stereotypes like all-sasquatches-are-recluses and sasquatches-can't-ride-bikes. After joining the 626 team in Spring 2016, Gabe made an immediate impact, traveling across Los Angeles County by (big) foot, bike, Foothill Transit, and Metro to spread the word that there are indeed cool things to see and do east of the eastside of LA. Keep an eye out for him as the event date gets closer and you could win free 626 swag, stickers, hugs, and selfies! OkCupid Profile: Yes, I have one! If you like walkabouts meet me at the South Pasadena Gold Line Station on 5/19/2019 (8am). I'll be wearing a #626goldenstreets t-shirt.